Soon Cobb realizes that this simple actress is anything but, as she harbors secrets that could pour gasoline on the already raging conflict. Following the night of the infamous German U-Boat attack on the Lusitania, Cobb must follow Selene and Brauer into the darkest alleyways of London, then on to the powder keg that is Istanbul. He must use all the cunning he possesses to uncover Selene's true motives, only to realize her hidden agenda could bring down some of the world's most powerful leaders. Robert Olen Butler is the Pulitzer Prize-winning author of fourteen novels, six story collections, and a book on the creative process, From Where You Dream. A recipient of both a Guggenheim Fellowship in fiction and a National Endowment for the Arts grant, he also won the Richard and Hinda Rosenthal Foundation Award from the American Academy of Arts and Letters and was a finalist for the PEN/Faulkner Award. He has twice won a National Magazine Award in Fiction and has received two Pushcart Prizes. 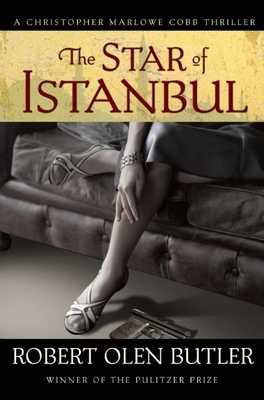 The Star of Istanbul is his second novel featuring Christopher Marlowe Cobb. He teaches creative writing at Florida State University.